Here you will find details of Orang Asli businesses where you can buy products or services direct from the Orang Asli. Please contact us if you know of a business that should be included. This shop is based in Kualu Lumpur's Central Market, address: G-23, Tingkat Bawah, Pasar Budaya (Central Market), Jalan Hang Kasturi, 50050, Kuala Lumpur, Malaysia. Tel: + 03 2741811. The staff are always happy and helpful and can speak Semai, Malaysian and English. 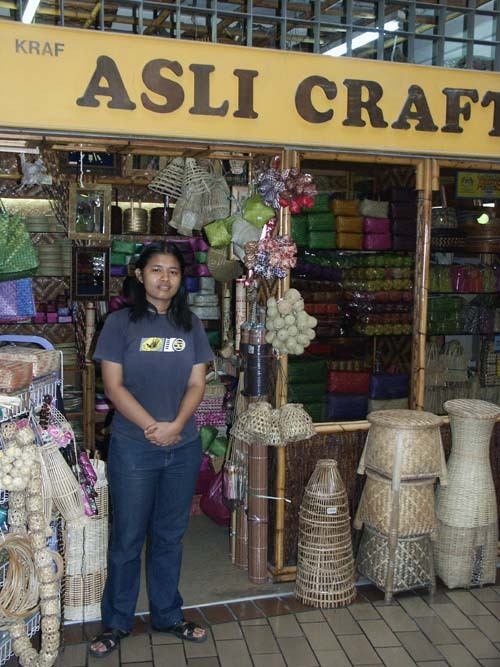 They sell a variety of Orang Asli crafts, carvings, arts and weaving. We reccommend a visit to this place - go and have a look and buy something.